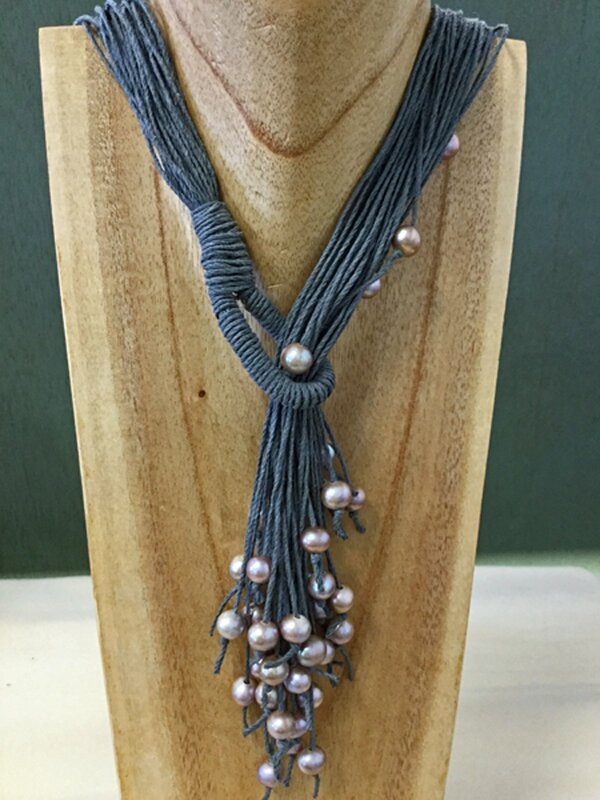 Learn to make a lovely cascading pearl necklace using large-hole pearls and jute cord. Creating this piece is a process of sculpting with knots. So much fun with dramatic results. $6 supply fee for jute payable to instructor on class day.